A highly unusual Cactus (Euphorbia lactea 'Cristata'), with flat crested stems providing a smart modern look. This is the perfect low maintenance house plant for a contemporary home or for the cactus collector. 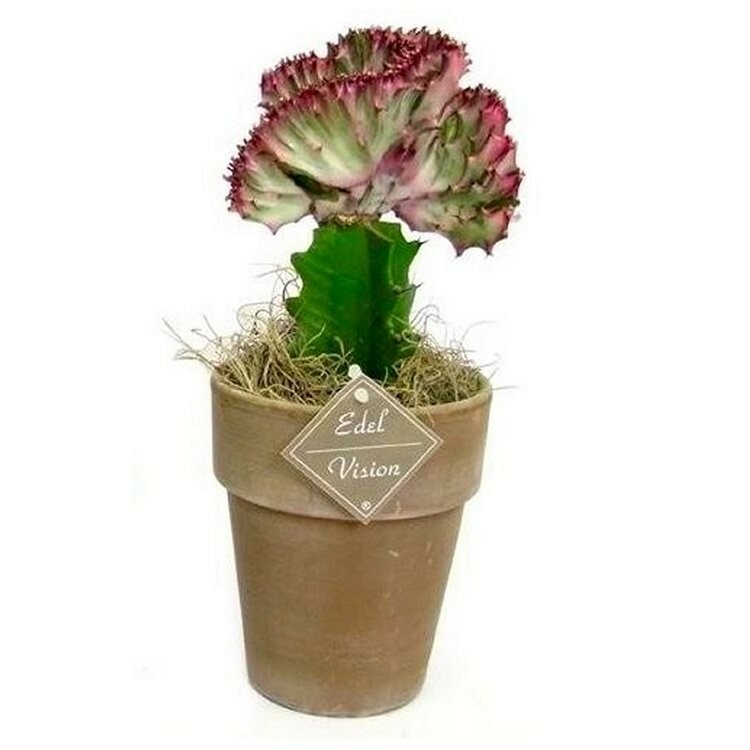 Supplied as pictured in a decorative chocolate-grey coloured stone pot and dressed with angel hair moss, with an overall height of around 25-30cms.